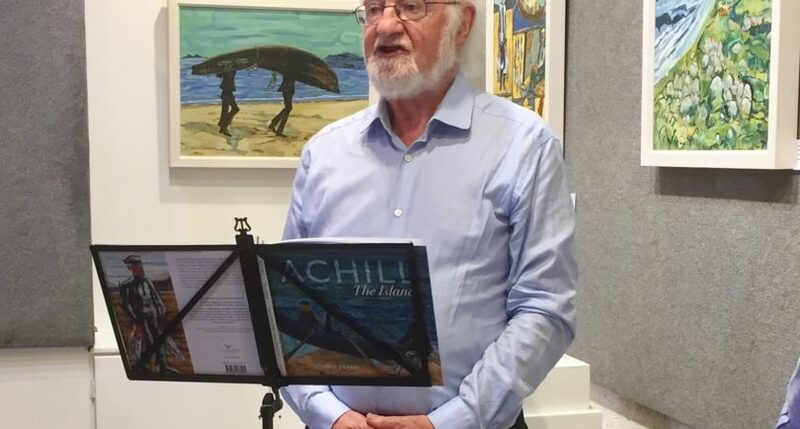 On August 16th from 12:00-1:30pm, readers can flock to Kennys’ Bookshop in Galway for a special event featuring Achill: The Island author John F. Deane. 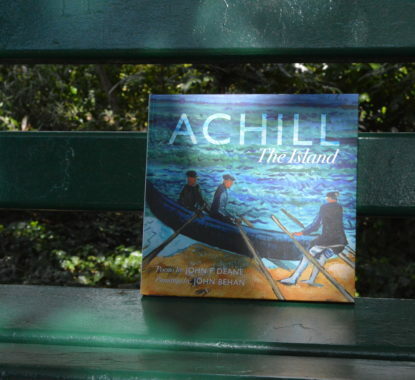 John will give a reading from Achill: The Island, after which he will sign books for attendees of the event. RHA. It is a must-read for any reader who appreciates the singular beauty of island life, where the light is ever-changing, the weather moves quickly, and the community is strong. John F. Deane is a talented poet born on Achill Island. He is the founder of Poetry Ireland and its journal, The Poetry Ireland Review, as well as the Dedalus Press. His previous works include Semibreve, a collection of poems, and Give Dust a Tongue, a memoir published by Columba Books. His love for his birthplace is evident in his writing, which does much to enthrall readers with the island’s many wonders. Hearing him read from Achill: The Island would be a treat for any reader and is well worth a trip to Galway’s famous bookshop, Kennys. 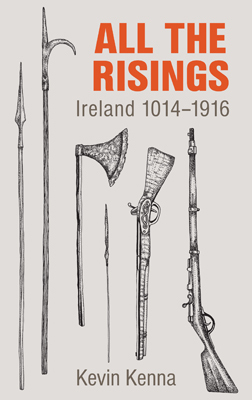 For more brilliant, beautiful books, check out our catalogue.